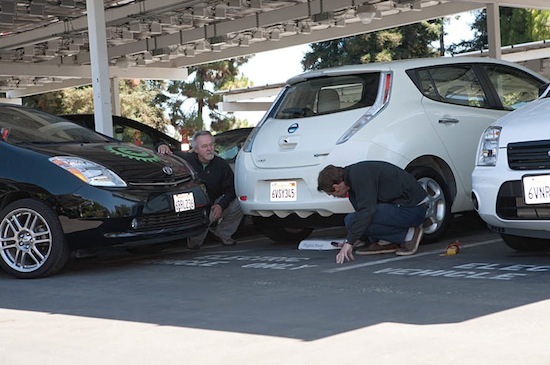 The cutting edge inductive charge station installed at the Google campus August 2 2012 is one of only a handful of fully functional automatic inductive charge stations in the United States. 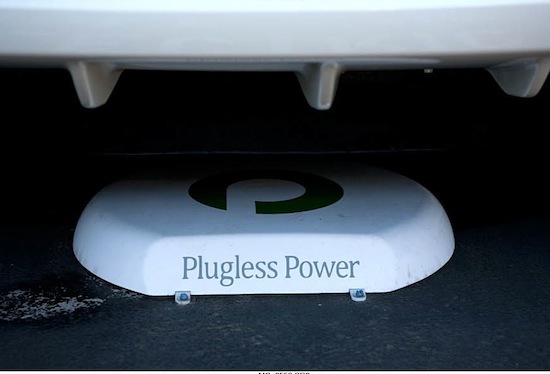 This ground breaking technology allows an EV driver to simply pull into the charge station parking space and charging of the battery begins automatically. 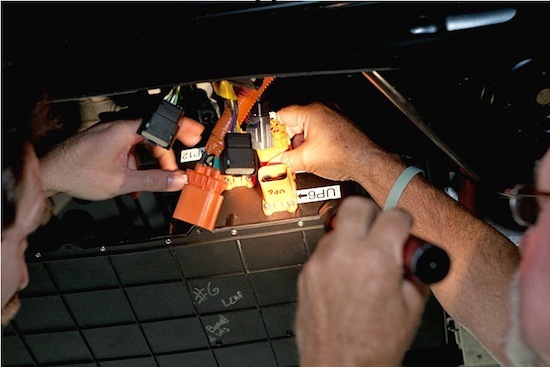 The energy is transfered magnetically across an air gap between equipment permanently mounted on the ground in the parking stall and equipment added to the underside of the vehicle. The system is deceptively simple utilizing the principles that make a transformer work, electro magnetic principles that have been used for over 100 years in electronic equipment. This new implementation is a perfect fit for an electric vehicle and will make using electric cars more convenient and effective for fleets and individuals. The system was created by Plugless Power, a company formed by engineers and executives from an established and successful transformer manufacturer in North Carolina. 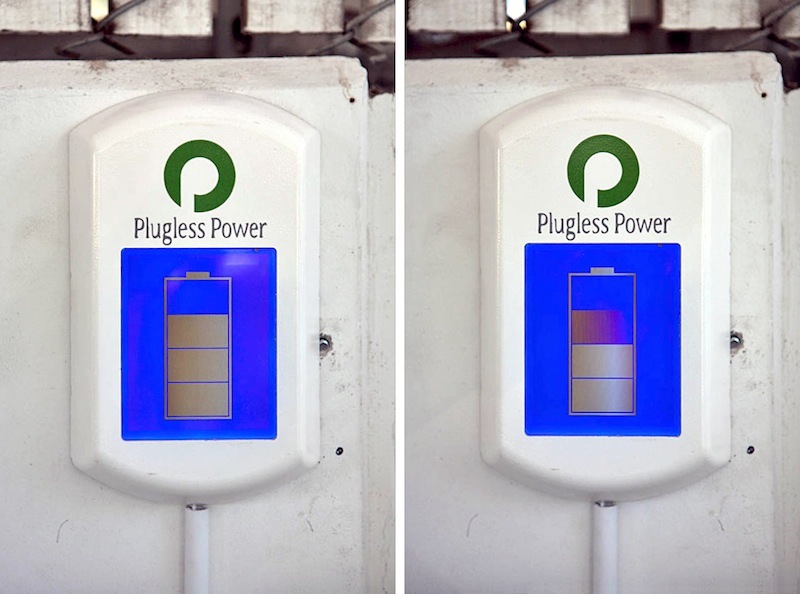 The Plugless Power team turned to Green Gears to install the vehicle hardware and provide technical support for the system once in place. The system installed at Google is at our estimate the 4th operational automatic inductive charge station in the United States. The initial purpose of this program is to test the system when in general use in a busy fleet environment. 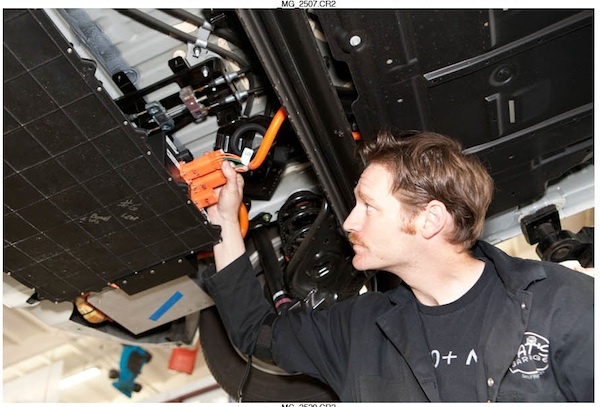 Nick Rothman connects the inductive charge pad wiring on the underside of a Nissan Leaf. Nick Designed the wire lengths and routing for all the connections shown. 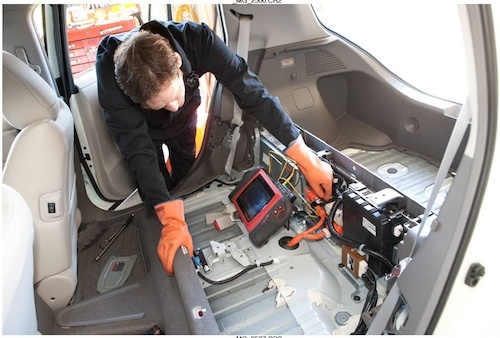 Inside the vehicle the inductive charge system is tied into the vehicle on board charger. Inductive Parking Pad is anchored to the ground. 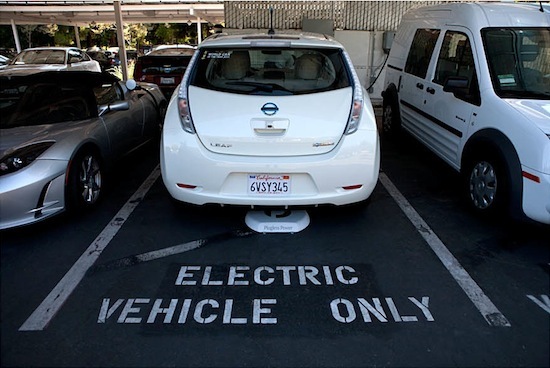 The system will discontinue charging is any ferrous object comes close to the parking pad when it is operating. The wall display shows that the vehicle automatically started charging. Very, very cool. My Leaf would like this. A first, top of the line!!! Congrats!